When most people think about the Caribbean they picture beautiful beaches, amazing scenery and tasty exotic drinks, not to mention blue skies and endless sunshine, well, most days. And yes, let us not forget the delicious cuisine made with herbs and spices that make them uniquely Caribbean. But, the Caribbean is much more than that; it is a vibrant region with many faces. Just imagine what you'll get if you fused all those ingredients and added music into the mix. This is just the recipe that has made the music festivals in the Caribbean some of the best around the world. If you have not been to a music festival on one of these Caribbean Islands then you definitely have to add it to your bucket list for 2016. Filled with amazing music, both local and international musicians brought together in beautiful open air or breathtaking seaside villages and topped off with mouthwatering cuisine indigenous to the many different islands. What do you get? Duh! Only some of the most awesome musical festivals around the world... of course. So, you like the idea and want to make the trip, but you don't know where to start. 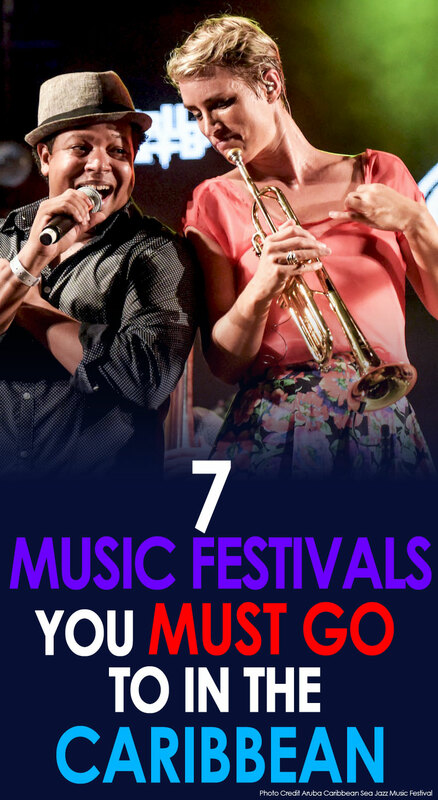 That's not a problem because this is our list of the top seven music festivals in the Caribbean. We start off with the Caribbean Sea Jazz Music Festival in Aruba (CSJF). September 2018 will be the 11th edition of this annual event, which started in 2007 and was the brainchild of musician Erik Eman. According to the CSJF 2015 magazine, which you can read here, Erik was sorely missing the defunct Aruba Jazz & Latin Music Festival that ran from 1986 until 2001. Having lived in The Hague, Erik was heavily inspired by the North Sea Jazz Festival created by Paul Ackett. And in 2007 Erik and his team, with limited budget brought the festival to life. The festival features a large mix of music including soul, jazz, Latin, hip-hop, funk, Salsa and Blues. Some of the acts performing over the last nine editions include Fourplay, George Benson, Willy Garcia, Chaka Khan, Angie Stone, Eddie Palmieri, Randy Brecker, David Sanborn, Moon Baker, Tango Extremo, Praful and in 2015 Earth Wind and Fire, Jesse J, the Mike Stone Band and Roberta Gambarini. Elements that add to the festival are the food court, which features many local and international dishes, the venue, which is located next to the seashore at the Renaissance Festival Plaza in Oranjestad and of course the amazing Caribbean atmosphere. And folks we have been to Aruba so we know what a beautiful place it is. The 12th edition is carded for September 20 and 21 this year (2019). Maybe we will see you there! We have been to the Tobago Jazz Experience (TJE) back in 2014, and enjoyed every minute of John Legand, but I am totally disappointed I missed the 2015 edition. Imagine one of my favorite singers Jennifer Hudson was there as well as, Jill Scott, Miguel and Kool and The Gang. I’m hurt! 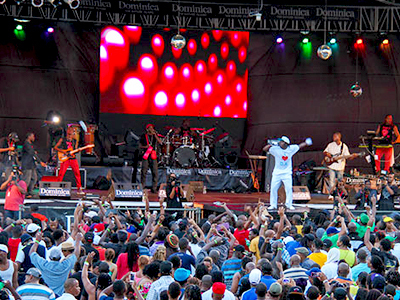 Local acts included David Rudder, Kes The Band, Shurwayne Winchester, Machel Montano and Olatunji. Busy Signal and Romain Virgo were also the regional acts on the cast. The TJE is a fusion of fine music, both local and international, food, fun and just a great event to have a good time. Because Tobago is a small island and the beach is everywhere you turn, the events are spread throughout the island in villages close to the seaside, but the main stage is located at the Pigeon Point Heritage Park. I don't know about you, but this to me is what makes these festivals so amazing. And Tobago, in case you don't know has some of the most breathtaking beaches. The Tobago Jazz Experience was started in 2009, but was preceded by the Tobago Gourmet Jazz Festival (TGJF) which began in 2005. The TGJF eventually became the Plymouth Jazz Festival. The Tobago Jazz Experience in its current form is in its eleventh year and is carded for April 25 – April 28, this year (2019). Past international performers include Keyshia Cole, Trey Songz, Dionne Warwick, George Benson, Brandy, Earth Wind and Fire, Angie Stone, Melanie Fiona and Emeli Sandé. The 2018 edition featured Tarrus Riley, Ne-Yo, Fantasia, Anthony Hamilton and Tanya Stephens. Perhaps one of the best known and the oldest Caribbean music festival, the Saint Lucia Jazz&Arts Festival has been around for quite a while and is celebrating its 25th anniversary this year. The original festival was known as the St. Lucia Jazz Festival and this was first held in 1991. We have been to St Lucia and we had an amazing time and you can see some photos of that trip to St Lucia here, but unfortunately we could never seem to make it to the festival. It is another one of the beautiful Caribbean islands and there is so much to see and do in St Lucia. Getting back to the festival, having undergone re-branding in 2013, new elements to the event were added, which included dance, art, theatre, culinary arts and Couture fashion. The festival is spread throughout the island in venues including Fond D'or Heritage Park in Dennery, Pigeon Island National Landmark and the Rudy John Beach Park in Laborie. Diana Ross, Ziggy Marley, Gipsy Kings, Hugh Masekela, Chuck Brown, Allison Marquis, Angelique Kidjo, R. Kelly Akon, Ronald ‘Boo’ Hinkson, The O’Jays, Tito Puente Jr., Tessanne Chin, Maxwell, Monty Alexander, Teddyson John and Bunji Garlin were some of its past performers. This year's festival (2019) is scheduled to run from May 4th – May 12th and you can look forward to performances from Augustin ‘Jab’ Duplessis, Catherine Russell’s“ Harlem on My Mind”, Christian McBride Presents, Dianne Reeves, Etienne Charles & Creole Soul with special guest Melanie Charles, Gregory Porter with special guest Ledisi and Patrick Bartley’s Dreamweaver Society. 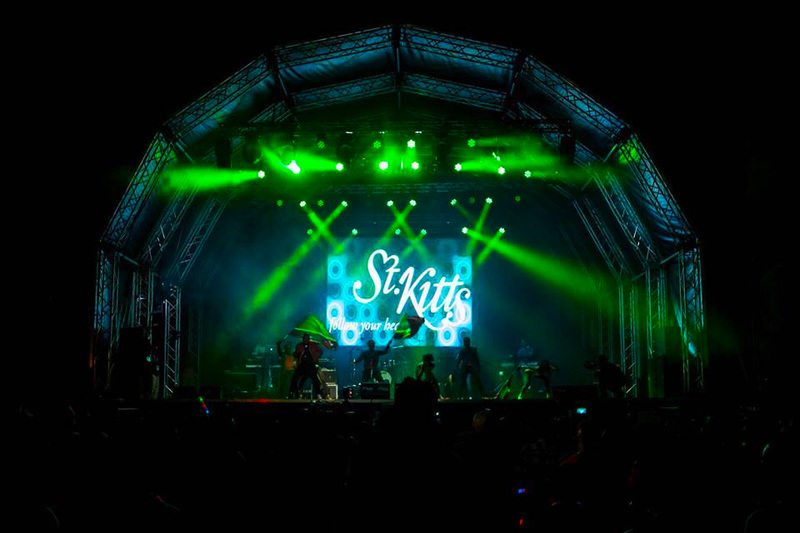 The 23rd Annual St. Kitts Music Festival is scheduled to run from June 27th – 29th this year (2019). One of the older festivals, it features a mixture of R&B, Soca, Reggae, and Hip-Hop. The first festival was held in 1996 and featured mainly Caribbean performers like Krosfyah, Arrow, the Roy Cape Band and the Small Axe Band. It has since grown and over the years some of the headline acts included international and regional artists like Billy Ocean, Ernie Smith, Pluto Shervington, Ne-Yo Michael Bolton, John Legend, Ja Rule, Mario, Calypso Rose, Shadow, Busy Signal, Steel Pulse, Sean Paul and Tessanne Chin. The home of the festival is Warner Park Stadium located in the capital Basseterre. 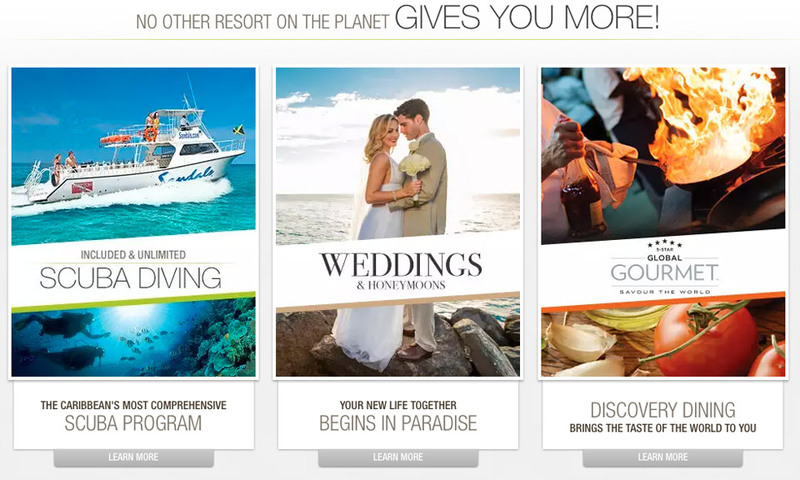 Yes you guessed it, St Kitts and Nevis are two more of the gems that make up the Caribbean. Yes they too have many beautiful beaches and so you can just lie and enjoy some cocktails in the day and take in some great music and food at night. Some of the performers for this year's edition (2019) include Buji Banton, Smokey Robinson, Ella Mai, French Montana, Nadia Batson, Farmer Nappy, Charly Black, Cocoa Tea and the Small Axe Band. We were fortunate to visit Curacao in 2014 for a couple of days, and while we crammed in as much as we could in the little time we were there, we truly enjoyed every bit of the island. Of course you can read about our Curacao trip here and see our amateur video here. The Curaçao North Sea Jazz Festival (CNSJ) is a pretty young one, it has been around for seven years (there was no festival in 2017), but has been growing steadily. It started in 2010, a spin off, of the popular Rotterdam North Sea Jazz festival. Held at the World Trade Center near beautiful Piscadera Bay, the 2019 version is set for August 29th – 31st. No performers have been announced yet for the upcoming edition. Past performers of CNSJ were Enrique Iglesias, Lionel Richie, Gregory Porter, Usher, Bettye LaVette, Wyclef Jean, The Pointer Sisters, Prince, Rod Stewart, Mana, Stevie Wonder, Sting, Carlos Santana, Prince, Rod Stewart, Alicia Keys, John Legend, India Arie, Juanes, Chaka Khan and Ruben Blades. The World Creole Music Festival (WCMF) was first held in 1997 and is described as truly indigenous because it features music from Creole-speaking countries around the world. In case you don’t know what Creole means Wikipedia has an explanation here. Some of this genre of music popular at the festival includes Zouk, Bouyon, Cadence-lypso, Kompa, Soukous and Bouyon. Over the past years some of the headliners included Zouk Machine, Exile One, First Serenade, Kassav, Tabou Combo, Magnum Band, Taxi Creole, Michele Henderson, Carimi, Ophelia Marie and Tanya St. Val. The 2019 event is scheduled for October 26th – 28th at the Windsor Park Stadium in the capital city Roseau. Some of the performers include the Signal Band, Machel Montano, Kes The Band, Chronixx, Mavado, Yemi Alade, Jean Marc Ferdinand, Francky Vincent, Sweet Mickey and Kai Klass. Dominica is a little different from the other Caribbean countries, yes, they have beautiful beaches, but its tourism drive is fashioned around nature and thus it is described as “The Nature Isle.” So if you are looking for something new, some great Creole music and food, and you love nature, then you know where to go. To end the list we have the Jamaican Reggae Sumfest, which was started in 1993 and showcases Reggae, dancehall and hip hop. 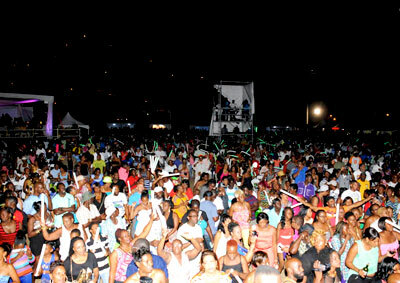 It is normally held at the Catherine Hall Entertainment Center, Montego Bay. If you are a lover of reggae and dancehall music, then this is a must visit for you as it is regarded as the biggest reggae show in the world. An added bonus is the many beautiful beaches and the tasty food including the very popular spicy jerk meats. Sumfest is scheduled for July 14, 2019 - July 20, this year (2019). Confirmed acts so far include Tarrus Riley, Jah 9, Protoje, Spragga Benz, Elephant Man, Spice and Govana among others. Reggae and dancehall artists who have appeared over the years include Bunny Wailer, Burning Spear, Beres Hammond, Gregory Isaacs, Melody Makers, Dennis Brown, Damian “Junior Gong” Marley, Ziggy Marley, Bounty Killa,Beenie Man, and Konshens. International acts included Alicia Keys, Dru Hill, Ne-Yo, Rihanna, Mary J. Blige, Snoop Dogg, Ja Rule, Missy Elliott, Kanye West, Usher, LL Cool J and Ludacris. So, there you have the rundown of our best seven Caribbean music festivals. My port is now finished so let me step out to the store and get some more. No! Not for today!